A submersible drone to track and bait fish could dramatically change how anglers trawl the seas for their catch of the day. 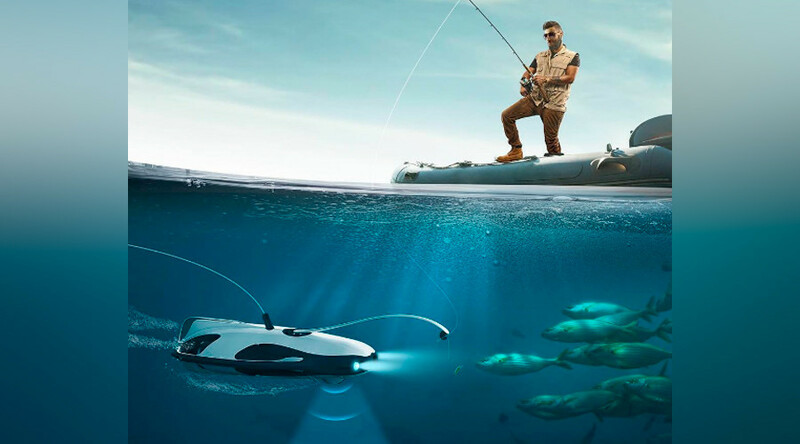 Makers of the robotic PowerRay claim the underwater drone can give fishermen an up close and personal view of 30 meters beneath the waves - and can even entice aquatic creatures with a blue “fish luring light”. “The sonar system can detect fish up to 40 meters or 131 feet below the robot, making the total diving depth up to 70 meters or 230 feet with precision up to 10 centimeters or 3.9 inches,” according to Beijing-based manufacturer PowerVision. The 7-pound drone is being pitched as a tool for anglers, with recreational fishers encouraged to make use of its Wi-Fi capabilities to view images with VR goggles or on mobile devices. A promo video for the PowerRay reveals how the machine aims to dupe prey by mimicking the underwater movement of fish and dropping bait remotely. The underwater drone bears a strong resemblance to angler fish, which use “antennae” lures to draw in unsuspecting prey. The device was just one of a number of futuristic developments to feature at the recent Consumer Electronics Show (CES) in Las Vegas. “Recreational fishing is one of the lifestyle areas that has not seen major technology breakthroughs,” PowerVision CEO Wally Zheng said.